There is a fair amount of Rubinstein available on Spotify though as is sometimes the case it doesn't all show up immediately and you have click on the various albums for other stuff to appear. There is a performance of Symphony No 5 from the Slovak State Philharmonic Orchestra conducted by Barry Kolman - enjoyable though I don't have anything to compare it with. Barry Kolman peformed well the slow 3d part of the symphony. But I still recommend rendition of Valentin Zverev. Sorry, couldn't resist --- nothing personal at all. (Culturally speaking, I am a huge Rusophile, and not only musically). Florestan, you are very correct, I'm also patriot of russian music (it's not a rule in our country). And in my post about aliens and "russian tradition" it should be read - very bad russian traditon. I can't believe there was not a Rubinstein thread so far. He wrote some good stuff. If you don't feel too impressed by his orchestral works, try the chamber ones. There are some gems that can delight you. 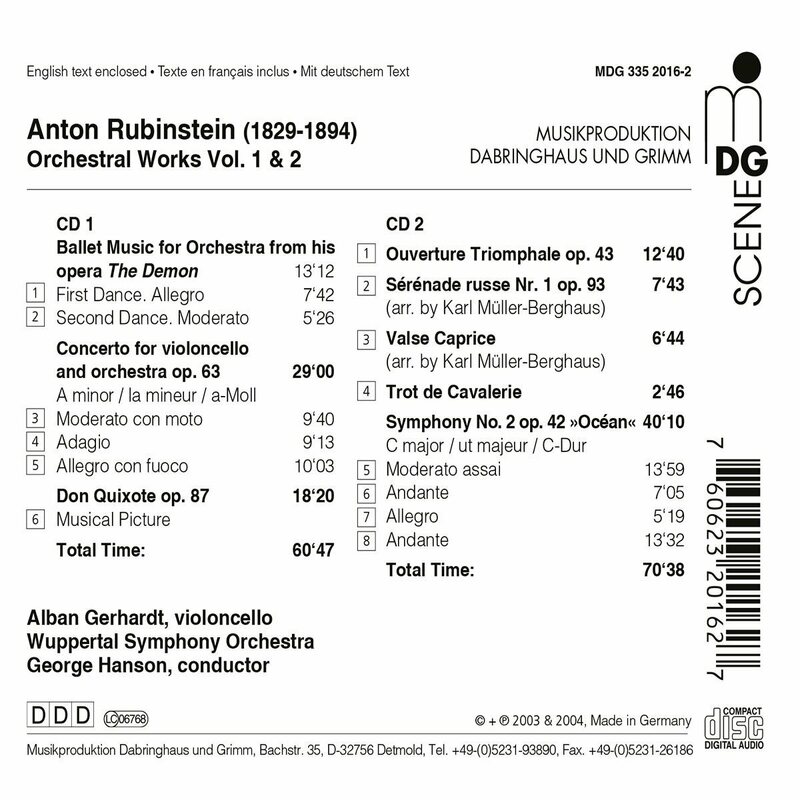 I don't know much by Rubinstein, so far I've enjoyed his Fantaisie for piano and orchestra, Cello Sonata no. 1, and String Quartet no. 1 quite a bit. Well here's someone who does enjoy Rubinstein's orchestral music!!! Or,at least,some of it. I listened to his Second (Ocean) and Fourth (Dramatic) symphonies (on Russian Disc) and enjoyed what I heard. The "Ocean" symphony went down particularly well. I like the tune in the first movement,and remember it from that old Vox Turnabout library Lp I posted about. The movement that follows,very graphically,portraying the movement of the sea. The sound quality seemed superior to the recording of the "Dramatic". I would love to hear these two symphonies with a really good orchestra and top notch,state of the art sound. Incidentally,Respighi's Belkis Queen of Sheba and Metamorphoseon got switched off in favour of the "Ocean" Symphony. I felt I needed something more restful. It was late at night and Rubinstein seemed to fit the bill! I didn't realise this was a 2 cd set! I've got to listen through quite allot of other pieces by Rubinstein before I get to the "Ocean" Symphony,though! Not keen on Cello Concertos generally;which shows my level of intellect. The Wuppertal/Hanson team recorded music by Felix Draeseke,though;and they were very good (as was the sound quality!). I wish they'd record the "Dramatic". Come on,you Wuppertal's!! Aharr! It's a two for the price of one reissue (like Iceland?!!)!! I may investigate at some point?!! Nice painting of him on the front,incidentally. He looks erm,quite formidable! I think it may be interesting in UK to know relationship between music of Elgar and Rubinstein. First of all Rubinstein has his own cycle of 24 secret portrets (as Enigma variations) of people but for piano (Kamenniy-Ostrov, Op. 10). Secondly Nimrod is one of heroes of his work "The Tower of Babel" op.80. but today there is no even recording of that opera, that was in 19th known as one of his main achievments). Next fragments sounds stylistical close in my view. While acknowledging that some people like it, I have to say that I can't stand his orchestration. I love his Viola Sonata, Cello Sonatas and much of his piano music. They speak to me perfectly, much like Medtner. This is a rather tenuous link really. Nimrod is the main character in the Biblical tale of the Tower of Babel, called a mighty hunter. Elgar called his ninth Variation Nimrod because it was dedicated to Augustus Jaeger, "Jaeger" meaning "hunter" in German. Thank you very much for information. And do you find close the music samples? 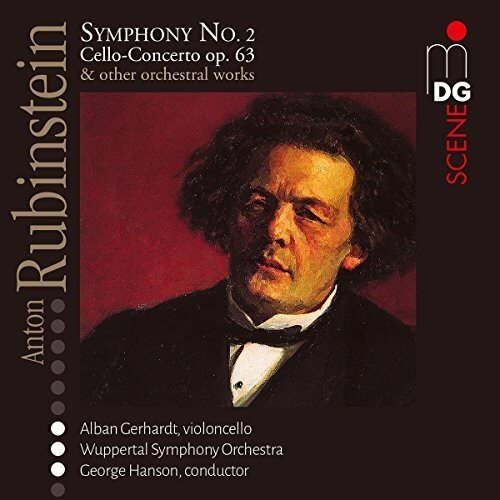 You can disagree with me but symphonic poem "Don Quixote" of A.Rubinstein is brilliantly orchestrated piece. Tchaikovsky made a piano transcription for 4 hands of this work. Thank you very much for "Don Quixote". I have been a fan of Rubinstein for some time but had not heard this piece before. I also find it remarkable that he is not better known in the west, he was a very melodic composer. When I first heard the next composition I thought it is in style of Chopin but sounds very modern like music of 20th century. It turned out Anton Rubinstein's composition of 1853 - his slow part from the 3rd piano concerto. From this time I love his music. I have listened to Moses several times now, it is a great opera with wonderful melodies and some very powerful moments. And have you already listened to new recording of Caprice russe, Op. 102 for piano and orchestra? As you may know this composition is dedicated to the future Prokofiev's piano teacher - Anna Esipova. And it has been never played so virtuously in my view as on this new recording with Neeme Jarvi and Anna Shelest. And here you can listen very rare fist recording of this concerto made in 1979. It is zip archive with mp4. (press "Скачать" if you want to download the music). P.S. This concerto has the largest amount of melodies of all piano concertos I know. Thanks for that, I didn't have the 1st concerto. I shall listen with pleasure. It is remarkably good sound for an LP of that vintage.